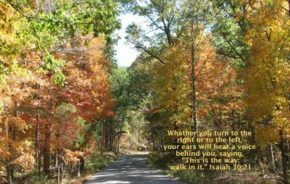 A Thought: Great Words From Isaiah! Walk in Faith. Walk in Confidence. Take the road with God, and your direction is sure, for God is by your side!